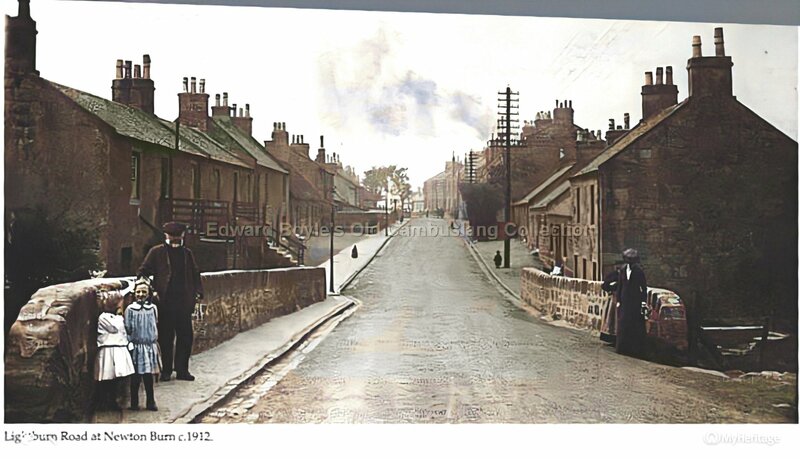 Yes he did own the property but not sure it was a Colliery house although he'd resided in Lightburn previously? I can't find 'Bruntshiels', Lightburn, Cambuslang although this may be a different house in the Lighburn area to where he was as late as 1895. It's possible James was still working for the Colliery as 'Scavenging' seems to have had a different meaning to what we know it? When I was a child scavengers, scaffies for short, were the men from the council who came round and emptied the rubbish bins. Please read above posts as I did check what 'Scavenging' could possibly mean whilst combined with Drainage & Lighting. That was the reason I said "'Scavenging' seems to have had a different meaning to what we know it?" thank you for all your information, rather timely as I am in the process of writing up my final copy for this branch of the family. I have gathered heaps on this family in the last 12 months but find it reassuring to have my research confirmed. Annie Purse (ms Welsh) died on 31 January 11916 at 19 Lightburn Road Cambuslang. Bruntshields cottage (sometimes spelt Burntshields) is where they lived for the later part of their lives. James died 2 August 1921 also at Bruntshields. James was a Blacksmith through and through but did spend some time as a Colliery smithy. His son James was the informant of his father's death, and yes this James did own property, he appears in the newspaper as having had his shop broken in to on 28 June 1905. Another son John also had shop property. Annie died Testate - which I found, and so did James although I have not been able to locate this. Annie and James had 8 children, all of whom I have researched which has included following some to Canada. Regarding the information about Scavenging, my understanding from looking at the Valuation Roll they paid extra in their Rent to cover 'Special water supply, drainage, Lighting and Scavenging'. Therefor this did not mean it was his actual job. At £22 for annual rent and a Feu duty of £1 5s as a proprietor can anyone tell me what sort of house he would have owned in 1920? Again thank you so much of your ongoing interest and the additional websites which I had not found. this James did own property, he appears in the newspaper as having had his shop broken in to on 28 June 1905. Another son John also had shop property. Is it not possible that he rented his shop premises? Even in this day and age many if not most shops are rented rather than owned by the shopkeeper. At £22 for annual rent and a Feu duty of £1 5s as a proprietor can anyone tell me what sort of house he would have owned in 1920? Annual 'rents' listed in the valuation rolls are a notional figure assessed according to a set of rules by the local authority. The rates (local taxes) payable by a householder or business were a proportion of the 'annual rent' or 'rateable value'. It is important to realise that the so-called 'rent' in the valuation roll did not represent what the occupier actually paid in rent to a landlord, if he was tenant rather than owner of the property. The rules for assessment took into consideration the number and size of the rooms in the house, its amenities, and the amenity of the immediate surroundings. Theoretically the rateable value of a similar house with similar should have been the same all over the country. - rates (local taxes) to the local council to pay for the cost of running council services. These might or might not include water supply, mains drainage, street lighting and refuse collection, which were provided in cities but not necessarily in rural areas, so not all households had to pay this. In the 1920s, the house I (later!) grew up in had a 'gross annual value, being yearly rent or value' of £33 16s and a rateable value of £34. It is semidetached and has 4 rooms and a kitchen on the ground floor, 3 decent-sized bedrooms, a small bedroom or boxroom, bathroom and separate toilet upstairs, and small gardens front and rear, with two sheds and a coal cellar. In 1902 this house was valued at £26. Across the road is a detached single-storey cottage with a garden behind and a very tiny garden in front. I don't know how many rooms it has, as I don't think I was ever inside it, but in the 1920s its gross annual value and rateable value were both £20. In 1902 this cottage was valued at £10. Have you seen https://www.scottishhousemove.co.uk/uploads/files/SCT150178/schedule_SCT150178_11_11_2016.pdf -i looks as if this cottage has been extended by the addition of a lounge and has had two bedrooms created in the attic space. - when the Valuation records says the word "Proprietor", does that not necessarily mean the person owns the property? - the photo you included of Burntshields, is that a possibility it may be the house I am talking about? If so I have hunted high and low for it and would be delighted if this were it so I could understand its location. Thanks again, and any further info would be extremely welcome. Yes. The proprietor owns the building, but may still have to pay feu duty to someone who owns the land it stands on. - the photo you included of Burntshields, is that a possibility it may be the house I am talking about? thank you for clearing that up, the concept of owning a property but not the land it sits on is new to me!